Eden Munro moves to Santa Monica to spend the summer with her dad, who she hasn’t seen in three years, and her new step mom and three step brothers. Although she can’t stand her oldest step-brother, Tyler Bruce, she starts making friends with his friends so she’s bound to associate with him eventually. What she doesn’t expect is to have feelings for him that could ruin everything. This is a great first installment of a captivating, lovable trilogy. While the premise has been done before, Maskame adds a few original twists. Readers will fall in love with Eden and Tyler’s story. I loved how she developed the relationship between Eden and Tyler while still integrating all of their friends personalities and character motives within the story. Due to the fact that Eden moves to a new town and has to learn about all the new people, it was easy for readers to learn with her. The complicated dynamic she has with her father was portrayed well, and the overall dynamic of her and her step-family felt believable as well. Overall, I loved this book and couldn’t wait to get the final two books! Connect with the author! 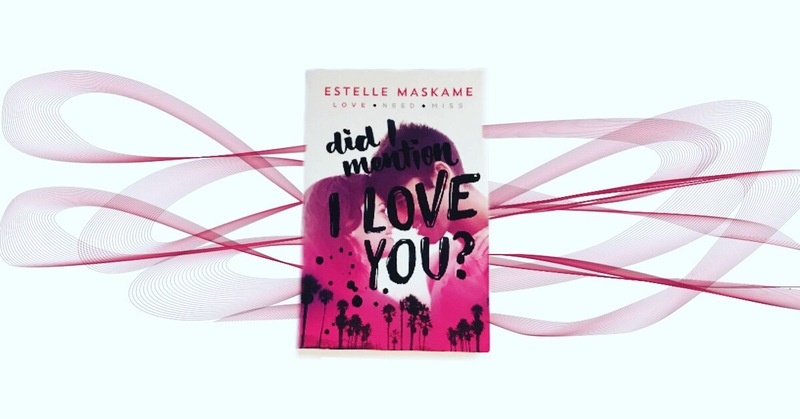 You can follow Estelle Maskame on twitter at @estellemaskame and on Instagram at @estellemaskameauthor!